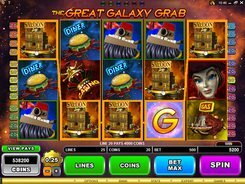 Powered by Microgaming, Starscape is a 5-reel slot themed around a sci-fi theme and near-space exploration. The symbols are playing cards, Moon, Comet, Mars, Saturn, Sun and a spacecraft. 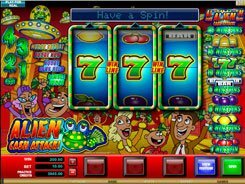 Played over 25 win lines, the game accepts up to 250 coins that range in size from $0.01 to $1, thus the maximum wager is $250 per spin. 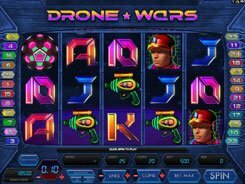 The game features a wild, a scatter and a bonus game. 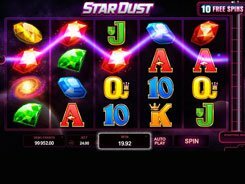 The slot’s logo acts as a wild awarding the slot’s grand prize of $70,000 if five of them appear on a payline. A wild is also a wild multiplier that doubles all payouts when used as a replacement for other non-feature symbols. 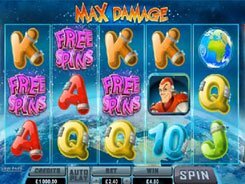 Two or more scatters (the Spacecraft) give a payout of x2 to x100 times a total bet. 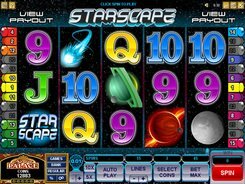 Three or more scatters activate the Starscape bonus. If this happens, you are taken to a new window showing a galaxy divided into 25 sectors. You task is to pick sectors and match 4 icons hidden underneath. The highest award you can grab in the bonus feature reaches 37,500 coins.